Time really does fly! Less than 2 weeks until SQLSaturday Oregon in Portland on 10/24 which I will be presenting my new "Power BI Is Awesome!" presentation @ 3:30PM. Lots of fun with Power BI for an hour. I really love this tool so it will be very fun and if you are there bring your questions and issues and I'll see what I can do to help everyone out. I'll also be in the Performance Clinic at 4:45PM to answer any SQL Server BI questions that you have. I'll be enjoying Portland for the weekend, including a trip to Providence Park to cheer on my Colorado Rapids in their final game of the 2015 season on Sunday. I know that their season is already over, but I'm looking forward to seeing them play in another stadium and the Portland Timbers stadium is high on my list! After the game is over Sunday evening I'll be making the drive up to Seattle for PASS Summit 2015! This will be the first year that I'm presenting a full hour session after doing Lightning Talks the last 2 years in a row (I'm doing another one this year again, for 3 straight years now). If you are going to be in the Seattle area on 10/26-10/30 I can't recommend attending PASS Summit 2015 any more highly. I have lost count of how many PASS Summit's I have been to now, but I think it is my 9th time! My Lightning Talk on "Power BI: From Nothing to Dashboard in 10 Minutes!" will be on Thursday, 10/29 @ 4:45PM and my full session "Date Dimension: Past and Future in One Script" will be on Friday, 10/30 @ 9:30AM. If you still have not registered for PASS Summit 2015, you can still use the discount code LC15WTG2 to get $150 off the registration fee. Hope to see you all in Portland and/or Seattle in a couple of weeks! Wow, is it already September? Can't believe how time is flying by! Sorry for the lack of posts, it has just been crazy busy with a new job and getting the Denver SQLSaturday setup for 9/19 (if you haven't registered, you better soon since we are up over 250 attendees now). Enough about that stuff, I'm getting back out on the speaking circuit again after taking the summer off! I'll be presenting at the Kansas City SQLSaturday on 10/3. Currently I'm scheduled to present "Date Dimension: Past & Future in One Script" @ 9am, so first session right after the keynote! I'm really looking forward to presenting my freshly updated version of this session that I will also be presenting at PASS Summit 2015 later in October. If you are going to be in the KC area on 10/3, make sure you register for one of the best SQLSaturday's in the region. It is at a new location this year, but they are still having BBQ for lunch. Can't wait to eat as much BBQ as I can and see all of you in my session. Microsoft has announced this morning the General Availability date for the new Power BI as July 24th! I had a feeling the announcement was coming after the stability of the last couple of monthly updates was so good and that Power BI Designer did not get it's normal monthly update in June. Power BI Designer is going to be renamed to Power BI Desktop and they have opened up a GitHub project to open source some of the visualizations and allow for more to be developed by the community! Looks like support for Excel is going to work through Excel Online for now, not sure what this means for the existing Excel add-ons. Also for those of you that missed it the Android Power BI app is also now available! With this GA release it will finally move out of preview and I assume they will start to charge for the Pro level. Looking forward to this moving out of beta and seeing how everyone starts to use it! All of the recordings for 24 Hours of PASS: Growing Our Community sessions are now available! I was honored to be selected for this event and you can get to the slides and recording for my "Introduction to the Power BI Designer" session using this link. Thanks to the team at PASS for going a great job editing out the technical difficulties that happened in this session, I had to look at it a couple of times to find the break, so they did a great job fixing that. There were many good questions that I answered most of them at the end of the session, but there was one that I didn't know the answer to at the time, which was what version of the SAP Business Objects Universe does Power BI Designer/Power BI work with. I found this support article that lists SAP Business Objects BI 4.1 SP2 or higher as the version that the current Power Query for Excel supports, which I would assume is the same for the Power BI Designer and PowerBI.com. I also found this blog post along with this video on YouTube that demos this connectivity with the existing Power Query for Excel. That was the only unanswered question that I know about from the session, if any of you have other questions after watching the session, please feel free to send me an email or just post it in the comments below. Thanks again and I hope to see you at the PASS Summit 2015 in Seattle on 10/27 - 10/30. Don't forget to use the discount code LC15WTG2 when you register to save $150 off the current price! Glad that I had a full 2 week vacation before this week! Amazing what can happen in one week. Week started off with accepting an offer for a new job at Chipotle! Looking forward to using all of my SQL BI knowledge to help them out. It has been a great run at RevGen Partners and I appreciate all of the help and support I have received over the last year there. I'll miss all of the friends that I know there, but the good thing is I'm staying in Denver, so I'm sure I'll run into them many times in the future. Next thing this week was my 24 Hours of PASS: Growing our Community presentation "Introduction to the Power BI Designer" on Wednesday afternoon. I was very well prepared and ready for it, once we opened it up I was happy to see over 200 attendees in the opening minutes. Then the strangest thing that I have seen with GoTo Meeting happened when the whole session came to an end for everyone about 15 minutes in. After my initial panic of trying to figure out what to do I just clicked on the email link and sure enough it was back up and working fine. Lost some attendees, but still had over 150 when it was back up and running again and I only lost a few minutes. Session went well and there were lots of good questions at the end, wish I could answer all of the when/what type questions, but that is all part of doing a presentation on a beta product that we don't know everything about yet. Stay tuned to this space for a link to the video once it is posted next week and I'll answer any questions that we didn't get to at the end of the session. Then on Thursday night I got the email that I didn't think I was going to get until later on Friday. After 4 attempts I'll be speaking at PASS Summit 2015 in a regular session slot! I was jumping for joy last night when I got the email and had to read it 4 times just to make sure. 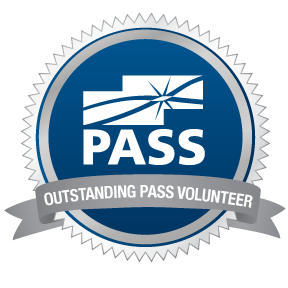 I know that there is a lot of controversy in the SQL Community about the selection process for PASS Summit, but I have been a Program Committee Volunteer for 3 years in a row now and I know that it has gotten better over those years and has helped me understand what it takes to put something like this on (along with organizing 4 SQLSaturdays). So, in October I'll be presenting my "Date Dimension: Past & Future in One Script" session, which is definitely one of my favorite sessions that I have done many times over the last couple of years. The cool thing is that this presentation came from a Lightning Talk that I did at PASS Summit 2013 (my first time speaking at a PASS Summit). Just goes to show you what patience and experience can do. I'll also be doing another Lightning Talk at PASS Summit 2015 on "Power BI Designer: Nothing to Dashboard in 10 Minutes!". Looking forward to putting this one together since it should be a lot of fun and for those doubters out there I will even be able to show how to do at least 2 dashboards in 10 minutes! :) If you have not yet registered for PASS Summit 2015, please click on this link and use the discount code LC15WTG2 to get $150 off! And not to get too political or anything, but the week was topped off with the SCOTUS gay marriage decision, which my response is: "It's about time!". Way to go SCOTUS, very proud to be an American today! I am proud to announce that I have been selected to present a webinar as part of the 24 Hours of PASS series on June 24-25! The theme of this 24 Hours of PASS is Growing Our Community, which is all about speakers who have not yet presented a regular session or pre-con at the PASS Summit in previous years. While I have presented at the last 2 PASS Summits in both cases they were 10 minute Lightning Talks, not a regular session (fingers crossed that I get one this year). 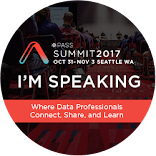 If you have not yet registered for PASS Summit 2015 in Seattle on 10/27 - 10/30, then use this link to register and the discount code LC15WTG2 to get $150 off! I will be presenting my "Introduction to the Power BI Designer" session at noon MT/18:00 GMT, which I have given at other venues a couple of times before and is now my new favorite session. I love how the new Power BI is coming along and it is also a challenge to demo with the product being updated at least once every month. If you can attend any of these 24 sessions starting at 6am MT/noon GMT, please register as there is a fantastic line-up of sessions/speakers for these 24 hours and I'm honored to be in this group! Of course I realized after I posted the announcement about speaking at SQLSaturday Atlanta in a couple of weeks that I will also be speaking at the Denver WIT (Women in Technology) meeting on the Wednesday before that, 5/13! The Denver WIT group meets on the 2nd Wednesday of every month at the Denver Microsoft offices and I was more than happy to help out by presenting my new "Power BI is Awesome!" session at this month's meeting. If you are looking for a good intro into what Power BI is and what it soon will be then this is the session for you! I'll do a little bit of background on what Microsoft has been doing with Power BI over the last few years and where it is all going with the new Power BI Designer and PowerBI.com website. There will be demos of the new stuff and some fun guessing where Microsoft might be heading in the future with this product line. Please RSVP at the EventBrite page and I hope to see you all at the meeting on 5/13! 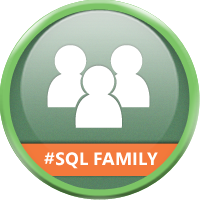 I'm very happy that I was selected for the 2nd year in a row to speak at the SQLSaturday event in Atlanta on 5/16! This is one of, if not the biggest SQLSaturday's in the world with over 500 attendees! If you are going to be in the Atlanta area on 5/16, please register and plan on attending my session, "Near Real-Time Data Warehouse Updates with CDC & SSIS" at 2:30pm in BI Room 3 (keep you eyes on the schedule page or use Guidebook in case the schedule changes). Also, if you are going to be around on the Friday before, consider registering for one of the all day pre-cons. These pre-cons are just like the ones that you would get at the large conferences like PASS Summit, but at 1/3rd the price! Looking forward to meeting and seeing everyone in Atlanta in less than 2 weeks! FREE #PowerBI Webinar @PragmaticWorks Training on the T's Tomorrow! I'll be doing a new session, "Introduction to Power BI Designer" tomorrow at 11am ET as part of the Pragmatic Works Training on the T's series of FREE webinars! Please register at the link above and see how the new Power BI Designer that is currently in preview works and what I expect it means for the future of BI at Microsoft (I even do a little bit of a look back for those that aren't up on the latest with Power BI). Looking forward to seeing everyone at the session tomorrow morning. Look for another post later this week with the link to the slides and answering any questions from the session that I don't get to in the session. Update 5/4 - Thanks to everyone that attended this session on 4/23, below are some of the questions that I didn't get a chance to answer during the webinar. Can data refresh be scheduled? With the new Power BI it will depend on which level you subscribe to. For the free version you can schedule refreshes only once a day, but the Pro level will allow you to schedule updates for every hour. You demo'd the Power BI Designer desktop application, is there an online web-based version? Yes, they are planning on making a web version available on PowerBI.com at the time of release. This is my guess is to why the roll out of features in Power BI Designer has been a bit slower, because they are making sure that all of this code can be run on both the desktop and web applications. Power BI Designer Preview is only available as a 64bit application, will there be a 32bit version? No, Microsoft has made it clear that a lot of the issues with the current Power BI Excel add-ons being allowed to run in 32bit. 64bit gives the stability to run the millions/billions of rows of data in the application in memory. What is the difference between Power Query and Power BI Designer? Power Query is the add-on that currently runs in Excel only. For Power BI Designer Microsoft is taking much of the functionality from Power Query and integrating it into that tool. In the end Microsoft will probably stop updating Power Query for Excel and make the newest versions only work in Power BI Designer, this is already apparent in some of the SaaS sources that they are adding which are all not available in Power Query. What data types are supported in Power BI Designer? The types available are changing with new versions of the Power BI Designer, but as of the April 2015 release, this link provides the full list and some great detail on how to convert between them in DAX (thanks to the attendee that posted this link in the chat). Microsoft is saying right now that the full version will support integration with Active Directory, what we have not heard is if that is on-premise and/or Azure. As of right now the only source that fully works with built in security is when you use a SSAS Tabular model and the Power BI Analysis Services Connector Preview. I would assume that in future updates before release that this connector will be upgraded to work with SSAS Multi-Dimensional models as well, but there is no timetable on when that will be. With some of the announcements at Microsoft Ignite today, I can see how the new Azure services for integration with Active Directory will be used to fill in this gap in some way. Can you clarify what can be done locally at no cost and what? When you use Power BI Designer you can use all of the sources that it currently connects to as long as you are able to access those sources (for SQL Server you will need to be on the same domain or be able to access them). All of the manipulations of the data that you do to those sources (remove columns, rename columns, merge datasets together) is all stored and is repeatable as it is stored in the M language. This will allow you to update locally in Power BI Designer as much as you want inside the application (that might change when the full version is released). You can build reports on those models that you create, there is no limit to the number of reports you can build (at least currently). Once you have all of that setup the way that you want it can be saved to your local file system as a PBIX file and that file can be shared with others and viewed/updated in the Power BI Designer as long as they also have the required access to the data sources you setup. As far as we know that is all going to be free. It is only when you need to push the solution up to the PowerBI.com site that you start getting into being charged and if you need to have the refresh of data scheduled once they are deployed to the web. As far as I know you can pass around PBIX files to anyone and as long as they have Power BI Designer and access to those data sources you can use it for free! Can the Power BI reports be imported into SharePoint? Unknown at this time, I don't think that Microsoft is going to forget about allowing this kind of BI/Analytics in SharePoint. I would not be surprised if by the full release they have a way to deploy these PBIX solutions into SharePoint in some way. Or a 3rd party vendor will find a way to parse the XML in the PBIX file and make that happen. How is it different from SSIS? Power BI Designer does not have all of the functionality that SSIS has, by design. Power BI Designer is meant for more of Business Analyst/Power User role. I expect over time that more a more functionality will be added to Power BI Designer to the point that it can do 90+% of what SSIS does, so then only the really complex ETL will need to be passed on to IT to do it in SSIS. Can we connect to SAP DATA and other data providers? Microsoft is constantly adding new built-in connectors for different databases so it is very possible. If that data source can be connected to via ODBC, that is a built-in provider that could be used as well. Can you use multiple data sources in the same project? Definitely! That is one of the major benefits of using this tool is that you can pull data in from as many different sources as you want and then join them together as required. As time goes on they should be able to do better auto-detection of the joins between data sources like Power Query can do today. Can you import web data and then after making the changes upload to your own SQL Server? There is no out of the box way to do that type of export in Power BI Designer today, but if you used the current Power Query Excel add-on then you could make the necessary updates to the data from multiple sources and then either import the resulting data via Excel/CSV exports or just upload the model created as an SSAS Tabular model. At this point we don't know if there will be the ability to create the model in Power BI Designer and upload the model into SSAS Tabular or not, but I would not be surprised to see that in the full release. We are looking at using this for some very confidential data. How can I use this internally and not push anything out to the world? If you want to share the PBIX files from Power BI Designer, that will work for moving the data/reports around internally. There is no requirement to use the PowerBI.com website and that is where the costs come into play as well. Not sure about future plans to integrate with SharePoint, but I would assume that is coming as well. Thanks again to those that attended this webinar, I will continue to update this post when videos are posted. If you want to replay the entire webinar, just go to this link on the Pragmatic Works site. Thanks also to Pragmatic Works for letting me do this webinar!